On Sunday, the first look poster of the film Jugari Cross starring Chiranjeevi Sarja was unveiled. Film director TS Nagabharana expressed his happiness by bringing another popular novel to the big screen. Bengaluru: The novel Jugari Cross by Poornachandra Tejaswi is all set for its adaptation to the silver screen shortly. The first look poster of the movie featuring Chiranjeevi Sarja impressed all in the gathering. Film director TS Nagabharana expressed his happiness by bringing another popular novel to the big screen. Nagabharana's son Pannaga Bharana will be assisting his father in the making of this film. Chandra is producing the film. 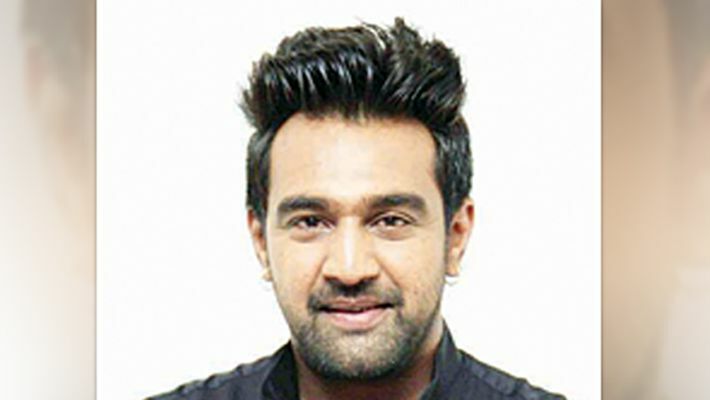 Chiranjeevi Sarja will be seen playing the lead role in this movie. Cinematography will be handled by HC Venu and Harish Bagalawadi will be handling screenplay and dialogues. With the first look released, the film crew is on a hunt to finalise the location to begin the shooting. Apart from Chiranjeevi Sarja, two others (Rangayana Raghu and Karisubbu) have been finalised for the film.